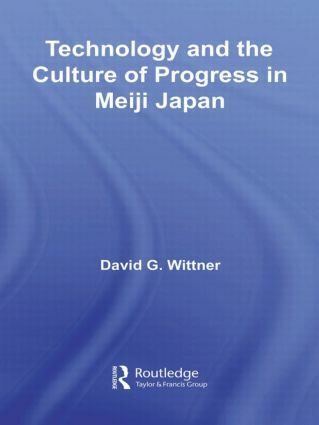 In this book David Wittner situates Japan’s Meiji Era experience of technology transfer and industrial modernization within the realm of culture, politics, and symbolism, examining how nineteenth century beliefs in civilization and enlightenment influenced the process of technological choice. Through case studies of the iron and silk industries, Wittner argues that the Meiji government’s guiding principle was not simply economic development or providing a technical model for private industry as is commonly claimed. Choice of technique was based on the ability of a technological artifact to import Western "civilization" to Japan: Meiji officials’ technological choices were firmly situated within perceptions of authority, modernity, and their varying political agendas. Technological artifacts could also be used as instruments of political legitimization. By late the Meiji Era, the former icons of Western civilization had been transformed into the symbols of Japanese industrial and military might. A fresh and engaging re-examination of Japanese industrialization within the larger framework of the Meiji Era, this book will appeal to scholars and students of science, technology, and society as well as Japanese history and culture.